Styled with tenley top . Summer's answer to the mini skirt. 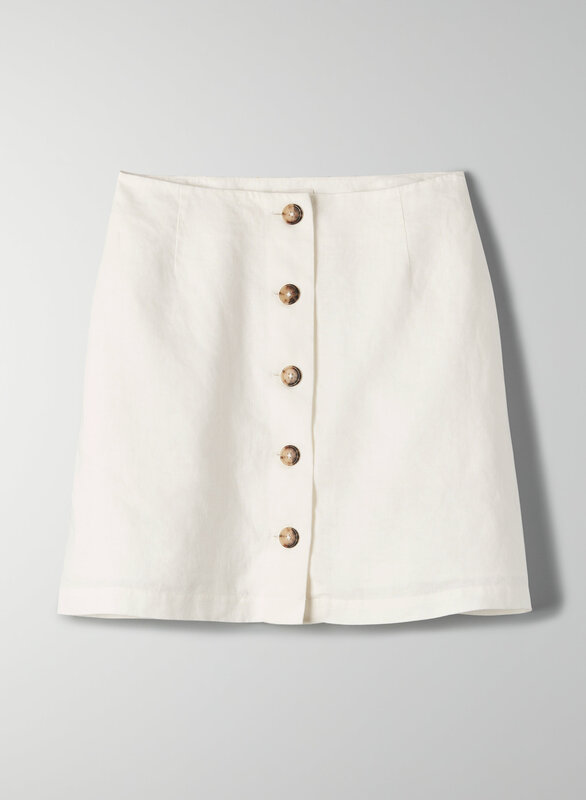 This is a button-front mini skirt made from soft, 100% linen fabric.